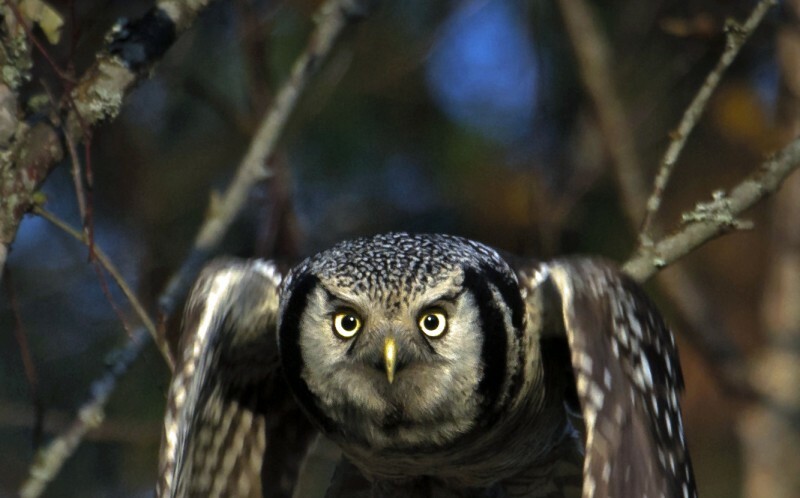 White Wolf : Finnish Torpedo owl flies with it's wings tucked in just like a torpedo. 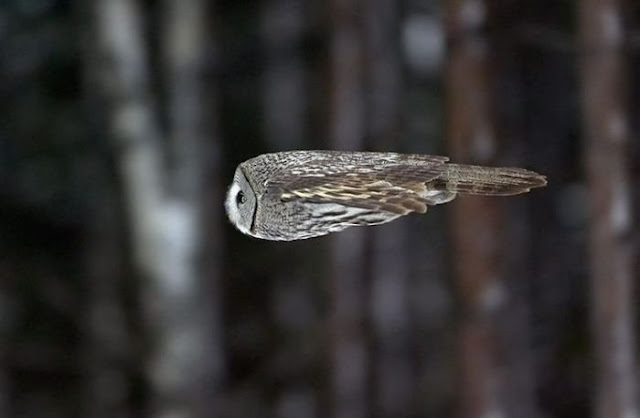 Finnish Torpedo owl flies with it's wings tucked in just like a torpedo. 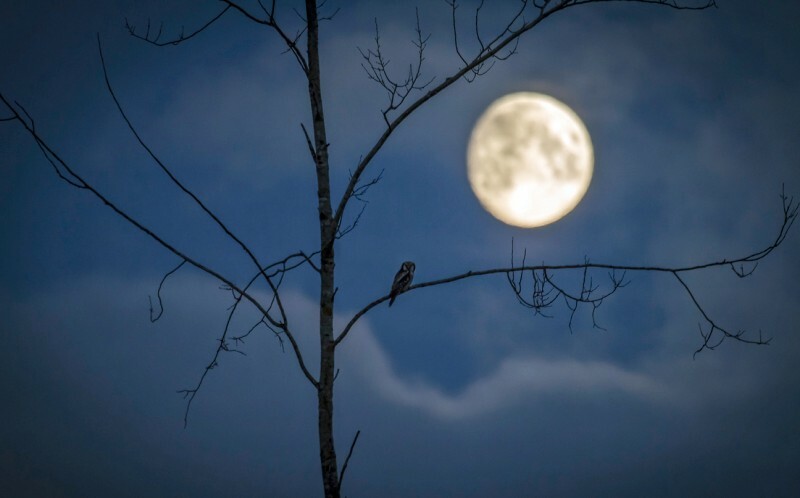 These images were snapped by Finnish photographer Jani Yikangas, 39 and have been picked up by social news site Reddit. 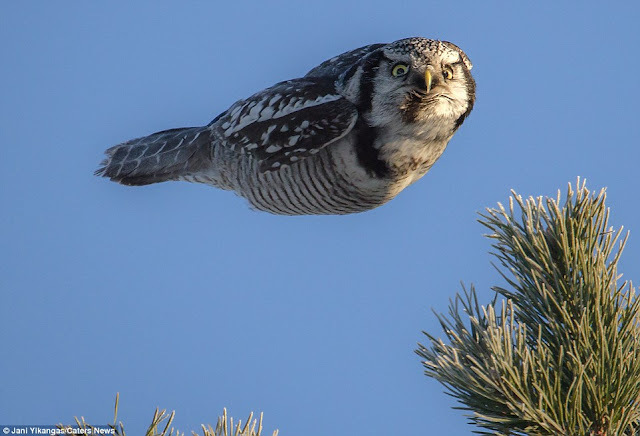 Jani said: "It’s the official torpedo owl! 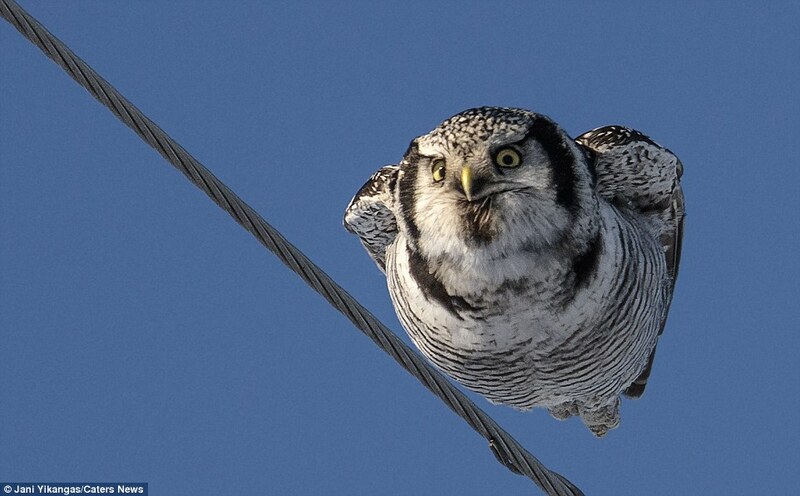 The famous northern hawk owl from Finland is known for its menacing attitude and lack of respect for gravity." Northern hawk owls are native to Finland and are one of the few owl species that are only active during daylight hours. It was pictured in the stealthy pose as while it was out hunting. 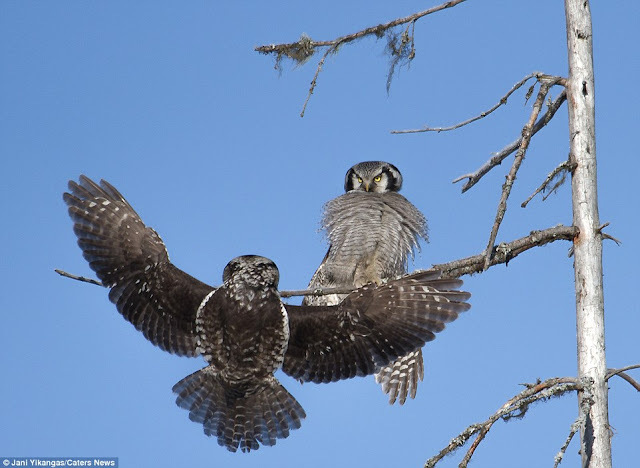 To keep a low profile it has its wings clamped tightly to its body and has its eyes wide open to maximise its chance of a kill. 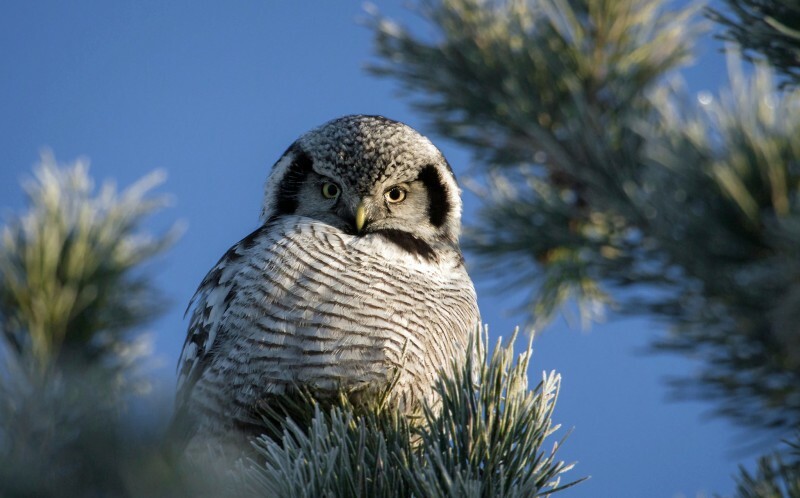 Hawk Owls are middle-sized, long-tailed owls with striking black and white markings. Their pale faces are bordered with black edges, including eyebrow-like markings which over their bright yellow eyes give them a piercing gaze. 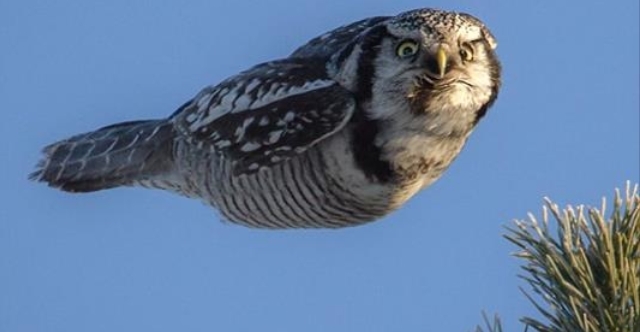 Responses to "Finnish Torpedo owl flies with it's wings tucked in just like a torpedo." They are very pretty. It amazes me all the beautiful animals God made for us.